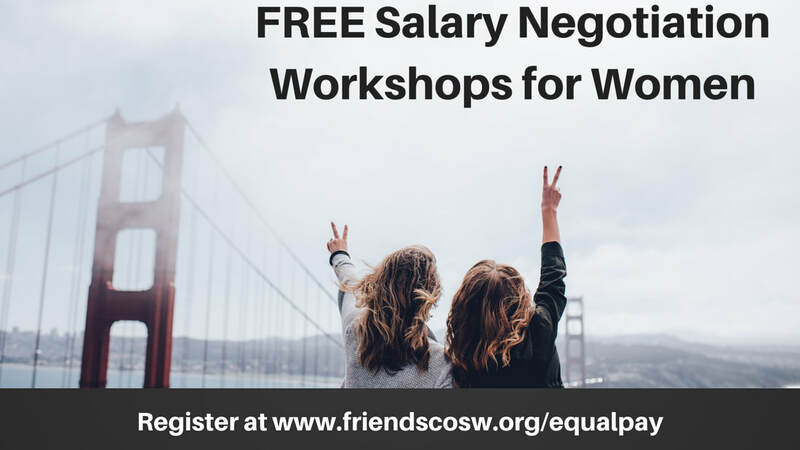 AAUW Work Smart Salary Negotiation Workshops are FREE and are designed to help women learn to confidently and successfully negotiate their own salary and benefits packages. To learn more about this citywide initiative, click here. ​The CEDAW Women's Human Rights Awards honor leaders and organizations who use their public roles to advance the rights of women and girls. Awards are given for leadership demonstrated in diverse sectors of the community including education, entrepreneurship, government, health, media, labor, and philanthropy. We are now planning for our annual fundraising gala. If you would like to be a part of this amazing event, please contact Verna Liza Caba at vernaliza@friendscosw.org or call 415.779.6636 or fill out our volunteer survey. ​To learn more about the CEDAW Awards and to view photos from last year's celebration, click here. The Honorable Mayor London N. Breed will kick-off San Francisco's Women's History Month Celebration and recognize 2019 honorees. "Gender Balance in the Arts: Past, Present, and Future"
The Mothers Building - Photographs by Richard Rothman of the only WPA artwork in San Francisco created and directed by women in the 1930's. Immigrant Girl, Radical Women - Original and compelling artwork by Artist and Writer Robbin Legere Henderson. ​Illusion and the Magic City - A celebration of the 80th anniversary of the Golden Gate International Exposition. Award Presentation by George Gascon, District Attorney of San Francisco. ​This event is FREE and open to the public but registration is required. The Board of Supervisors will be recognizing the 2019 Women Making History Honorees. This event is free and open to the public. ​The FRIENDS organize events in the community to raise awareness and funds for stopping violence against women, eliminating human trafficking and promoting gender equity. We are thankful to individual donors and sponsors and all of our guests who support our mission by attending our events. Community Events Calendar: We are happy to cross promote events and gatherings hosted or organized by our community partners and allies. Submit calendar items to news@friendcosw.org.